Algalasa provides integrated, innovative and cost-effective solutions for hospital’s logistics operations in order to increase safety, efficiency and control, and provides integrated studies, analysis, design, training and implementation of the facility’s mission and goals. 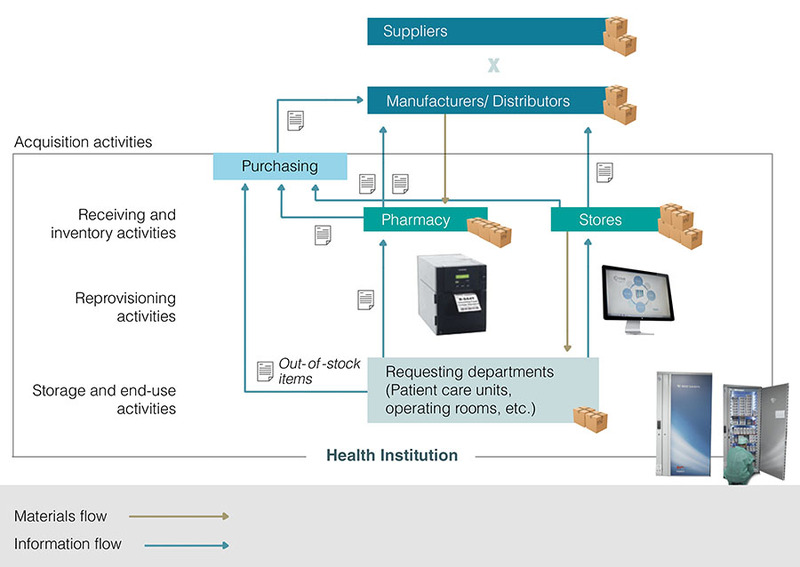 When required, due to our independence, experience and market knowledge, we can also go forward and provide turnkey solutions, including the maintenance and integration of logistics information systems with hospital ERP and HIS. Hospital Supplies are the second highest cost to hospitals after the cost of staff providing patient care. They are an important and growing part of hospital budgets. According to the Association for Healthcare Resource and Materials Management, the cost of supplies now represents around 30 percent of hospital expenses. Optimizing this cost is essential for hospital managers.